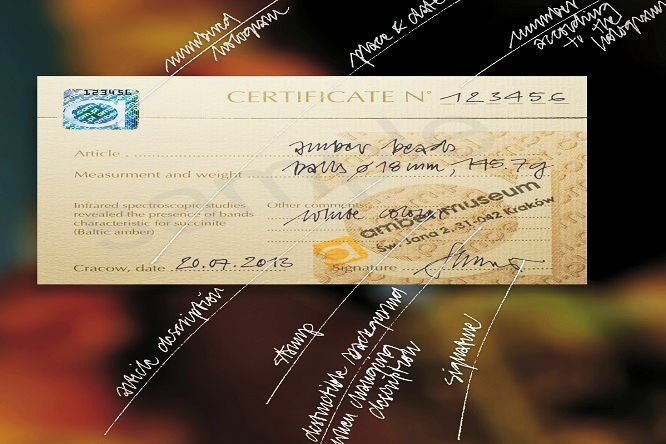 In our galleries every purchase of jewellery with amber, is confirmed with an authenticity certificate. Examination certificate will be issued only on the basis of a particular product’s spectrum. On the certificate with a unique hologram will be uploaded a description of the product, its weight, the expert opinion, of any reconstructions and modifications and date and place of study.